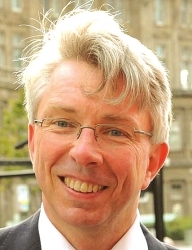 Receptive ecumenical awakening is properly a matter of the heart before it is a matter of the head; a matter of falling in love with the experienced presence of God in the people, practices, even structures of another tradition and being impelled thereby to search for ways in which all impediments to closer relationship might be overcome, says Prof. Murray. SA Council of Churches, together with other State Ecumenical Councils, has invited Professor Paul Murray, the main proponent of Receptive Ecumenism, to Australia and New Zealand in late July/ August 2012. Paul, a lay Roman Catholic systematic theologian in the Department of Theology and Religion at Durham University, UK, will be in SA from 24 to 28 July, and will spend time in Port Pirie and in Adelaide, helping the Churches across SA to explore how we can apply Receptive Ecumenism in our local context. Paul Murray posits that if we were all asking the latter question and acting upon it, “then all would be moving in ways that would both deepen our respective identities and draw us into more intimate relationship”. The aim, Paul says, is for the Christian traditions to become more, not less, than they currently are by learning from, or receiving of, each other’s gifts. “My hope is that the Church across SA will discover through Receptive Ecumenism new possibilities for this exchange of gifts and a deeper capacity to grow our love for one another and for all of creation,” says Geraldine Hawkes, Executive Officer of SA Council of Churches.